Those of us who know how to write will easily take for granted that ability which is required for so many essential tasks. But in Ratanpur, Bihar, the story is different. Adult literacy has started. 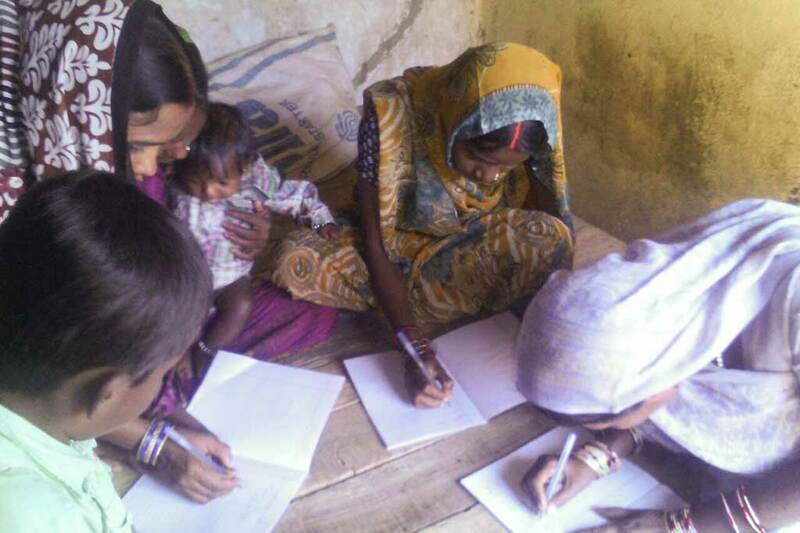 The first lesson involved teaching three women from a local self help group how to sign their names. The bank manager there is requiring signatures so the women can open their accounts. According to UNESCO, nearly 17% of the world’s adult population is still not literate. With two-thirds of that group women, gender equality is even more of a challenge to achieve. Such simple actions are bringing about change.